The Very Best Viddles in Cheyenne! Ranching is hard work. After a long day riding the range, there's a good chance you won't feel like firing up the stove. On those days when you've put in a hard day's work, hop in the truck and head into Cheyenne, Wyoming where you will find a comfortable seat at some of the best restaurants in the West. Two Doors Down - Two Doors Down has a leg up on their fast food competition. Their burgers, chicken breasts, and tender salmon filets are big enough to satiate even the heartiest of appetites. Their bottomless fries are included with every burger so you can sit down and eat taters to your heart's content and need to loosen your belt. Luxury Diner - Looking for some good, down home cookin' the way grandma used to make? The Luxury Diner has the treats you crave. From meatloaf to pot roast, everything is simmered and served to perfection. Couple your meal with a side of mashed potatoes and cole slaw, then wash it down with a bucket of gravy that's always piping hot. Morris House Bistro - Anniversary dinner? Wedding engagement? Big promotion? You can celebrate them all at the Morris House Bistro. Start the evening off with some Bourbon Grilled Oysters, pair it with a Salt Rubbed Ribeye, and finish it off with a bottle of wine from their impressive cellar. Wyoming Rib & Chop House - There is nothing in Cheyenne,Wyoming better than a big plate full o' meat. At the Wyoming Rib & Chop House, their menu has plenty of it for you to choose from. The ribs, steaks, pork chops, catfish, and chicken dishes are so large that they need two hands to carry them to the table. Everything is served within a family friendly atmosphere that's right out of a dime store novel. Of course, you are going to need a place to call home. The Brooks Companies has plenty of Wyoming ranchland for you to choose from. Whether you are looking for a few acres to settle down and enjoy your retirement, or a place where you can build the working ranch of your dreams, we are ready to help you find the place that is ideal for you. 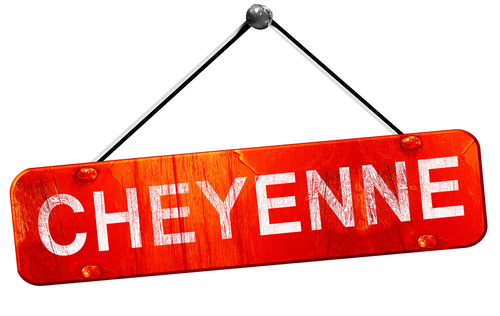 We invite you to contact us at 877-468-9802 to learn more about the properties we have available near Cheyenne, Wyoming.